The intent of this website is to help us remember that we are one with Nature and Spirit, to provide information for healing and about the services of Athena Wolf. Athena offers moon ceremony, solstice ceremonies and other services to the community with no fee. You can find a description of the healing work she does on the Healing page and pay for an office visit or distance healing there. After scheduling an appointment you can fill out the appropriate form under the tab called "More". For remedies see the Market page. Athena Wolf offers healing work through Spirit and plant medicine with the traditions of Curanderismo and Ayurveda. In gratitude for apprenticehips with: Ginger and Dale Lee (Peruvian shamanism); Weremay Kachora, medicine man of the Yaquis in Tecate, Mexico (curanderismo); Yogi Bhajan and Dr. Shom (Ayurveda); the curandera of Espanola, New Mexico; Changing Woman, medicine woman in Sheep Springs, New Mexico (path of the medicine woman). 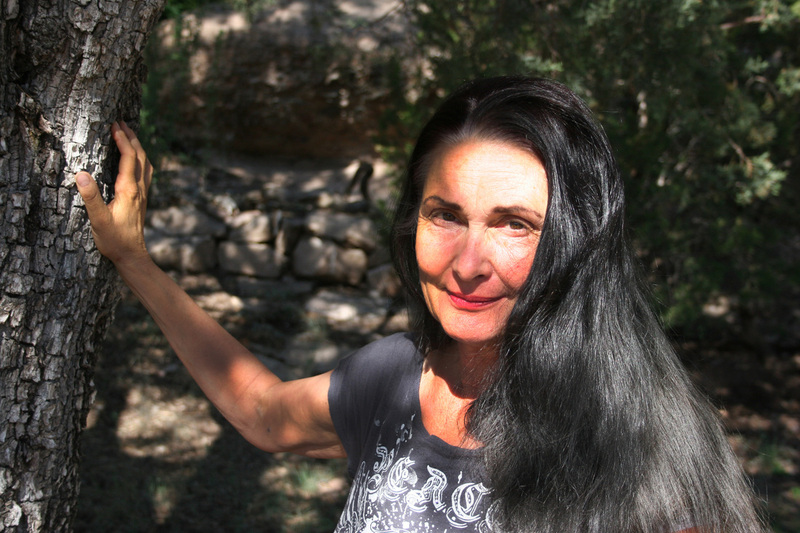 Athena studied western herbalism for 40 years; lived in an ashram practicing Kundalini yoga and Ayurveda for 26 years; and has degrees in Communications and Training Technologies. She works with Spirit and Nature to help others heal themselves and our world. Here's a video of one of my teacher's, Abuelo Kachora, on his 100th birthday in 2015. Photo of huaco silbadores (Peruvian whistling vessels) taken by the maker of them, Don Wright. The Huaco Silbadores, or Peruvian Whistling Vessels, we use to call in the Spirits of the Mountains during Moon Ceremony. The huaco silbador or whistling vessel has become well known, thanks to the writings and teachings of Daniel Statnekov and Donald Wright (these were made by Don Wright). Statnekov became intrigued by these vessels, learned to produce similar ones, and developed a theory about them. Statnekov believes that they had a psycho-accoustical effect on the brain when played in groups. He and Wright produce replicas in groups of five or seven tuned in order to create the optimal effect when played together. The vessels represent the elements and also the different people living in Peru. One may represent the race of red-haired giants. Playing the vessels together in a group creates a binaural beat that cannot be recorded but only heard. This is said to be very healing to all beings and to the land. There is no charge to attend Moon ceremonies with us in southern New Mexico. Escuela de Curanderismo--Describes this school for healers that conveys the wisdom of the Maya and Naga Maya. Not healing--Articles written by scientists and journalists about drugs. Recipes--How to make Golden Milk, do Oil-Pulling, make ghee. "I love our group and really look forward to seeing everyone again next month. I love your energy and Ian's energy and love the way you impart everything and hold the space for all of us. Incredibly powerful! 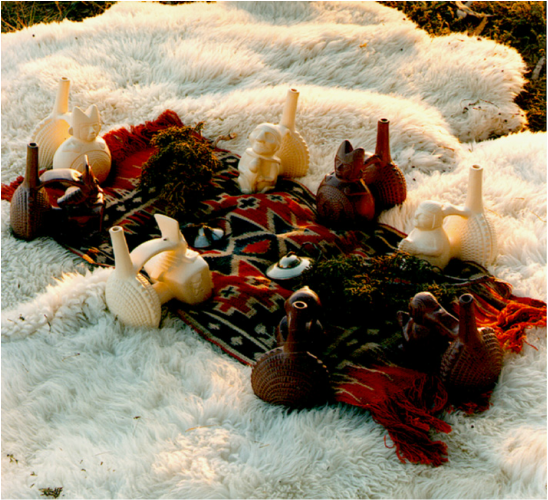 The most powerful time for me (in the Escuela) was the Peruvian Whistling Vessel circle. As soon as you brought the vessels out from your suitcases my whole physical body and energy body came to total attention. Their story and your history with them was beautiful. Then when we began to play them my Third Eye, Crown, Alta Major, and Soul Star chakras felt like they for zapped by lightening or did a 5th Dimension energy upgrade. I've done Ayahuasca twice and had a rough time with it. But these vessels are like the intention of Ayahuasca without the medicine and without the misery and without the out of one's control altered state of mind and I think a much clearer connection with the group. 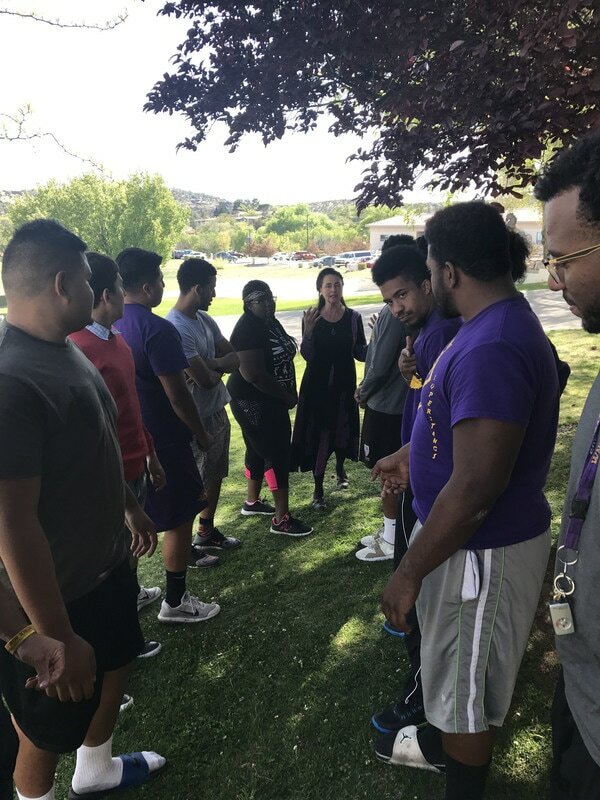 I appreciate the courtesy, enthusiam and attention of the WNMU football team in April of 2017, as I was invited to speak to them about energy work and herbs. It was inspiring to spend time with such sincere young people. I enjoyed speaking to people in Silver City about Ayurveda September 28. We celebrated summer solstice in 2014 with the Silver City Unitarians. The group of about 40 people experienced the power and beauty of their own intuitive connection to source as we created a medicine wheel. A four-hour workshop on specific Ayurvedic remedies was held at my office in Silver City in May 2014. The very knowledgeable group of professional healers gathered information on how they might use Ayurveda in their diverse practices. The free talk, Ayurveda, Healing Body and Soul, at the Silver City Food Co-op on Bullard was packed with many people desiring to know a little about Ayurveda. February 18 and 20, 2014. The luxurious setting at "The Gathering Hotel" served as a back-drop (and lunch!) for the Diabetes Conference of the Yavapai Apaches on May 30, 2013. I was honored to talk with the group about the complications of diabetes. We focused on neuropathy, retinopathy, circulatory and kidney problems, as well as depression. Sustainable Verde Valley was enthusiastic about the talk, Sustainability and Plant Medicine, and several of those inspired to use plant medicine instead of drugs are now clients of mine. The beautiful and elegant Sedona Creative Life Center hosted the workshop Healing Our Families With Natural Medicine last month. It was a knowlegable, if small, group of healers that attended. I enjoyed speaking to a group at the Cottonwood, AZ library about herpes viruses in September. Bravo to the people of Canon City who showed up despite the slippery roads for the talk Healing Your Families With Natural Medicine. The first full moon of 2012 in Crestone, Colorado was magical indeed with Steve's Peruvian whistling vessels, Wolfgang's clearing work with the conch and the uplifting songs and poems shared by many. Thanks to the good people of Show Low, Arizona for their hospitality and enthusiasm. I really enjoyed talking about Healing Your Families With Natural Medicine. with you November 19th. We hope to see you again soon. Great winter solstice celebration in Dixon in 2013. I was humbled and inspired by the many beautiful and wise souls who attended. I enjoyed spending time with the kind and generous people of Westcliff on January 7th with the workshop Healing Your Families With Natural Medicine. May you continue in good health and prosperity in your lovely little town.